Where were you the day Kinect died? I was watching the Xbox One E3 2016 stream, where Microsoft confirmed its new Xbox One S console won't have a dedicated Kinect sensor port. If you want to use Kinect on the new console you'll have to use a separate USB adapter, which seems like a big admission from Microsoft that the dream is as good as dead. 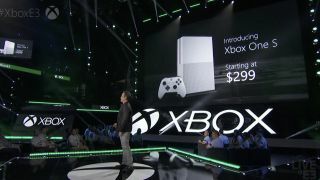 The new Xbox comes with a built-in IR blaster for TV control, baking the best part of Kinect straight into the console. Of course, it's not totally RIP. But at this point, it's as good as, right? We're pouring one out for you, Kinect. You had some great ideas, but you just weren't ready for the big time.